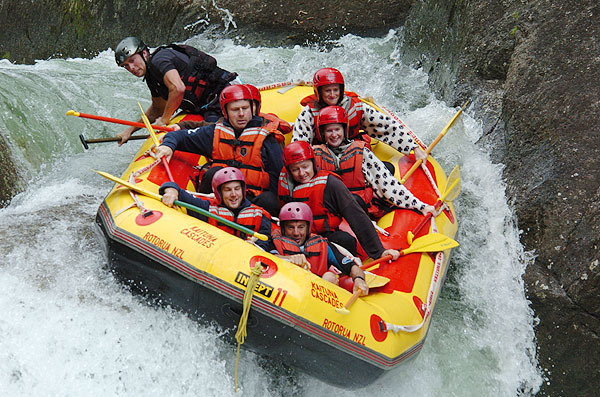 This company based in Rotorua raft/kayak on rivers in the surrounding Bay of Plenty region. With the worlds highest commercially rafted waterfall (7 metres, 21ft) the Kaituna River is a whitewater enthusiast’s dream come true. Flowing through an extremely steep and narrow canyon, in 50 minutes you will paddle 14 awesome drops, including two waterfalls and some great rapids. Only 15 minutes from Rotorua. 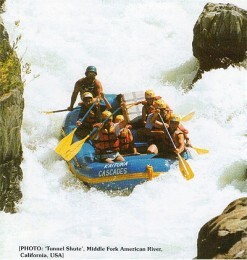 1997, 1998, 1999 and 2000 NZ Rafting Championships. 1997 and 1998 NZ Kayak Slalom Championships. 1997 German Kayak Rodeo Championships. Our guides have represented New Zealand at the last four World Rafting Championships.